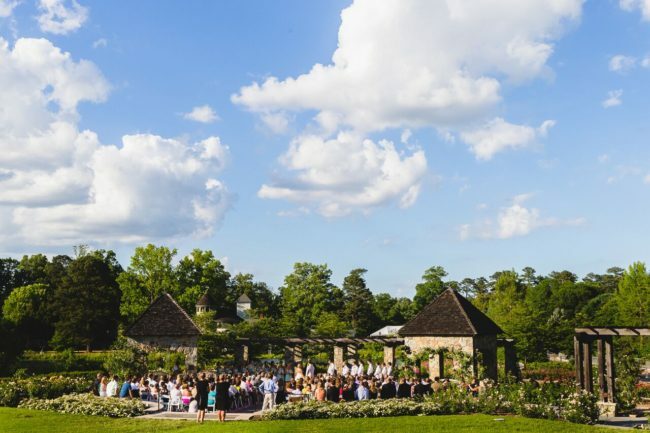 There are many factors to consider when looking to select the perfect wedding venue. The decision shouldn’t be taken lightly, by any means! The first thing you need to do is determine your location. Where do you want to get married? There is no right or wrong answer here! It’s simply a decision of what’s best for you, your guests, and your budget. There are pros and cons for hosting an in-town wedding and a destination wedding. An in-town wedding means that you will get married at a local venue. The venue is convenient for site visits and vendor appointments. It is also convenient for your guests that will be in attendance. When it comes to choosing a destination wedding, the obvious appeal is a chance to travel while extending your wedding day to a multi-day celebration. The logistics can be a bit of a challenge from a distance. You will also have to decide if having a smaller guest list is okay as not everyone will be able to afford to travel for a destination wedding. You will also have to decide if your ceremony and reception will be held at the same location. There is no right or wrong answer to this, it really depends on your preference. Be sure to consider the logistics of having two separate locations as that will include things like timing, transportation and travel between the ceremony and reception. Pay attention to your first impression when reaching out to a wedding venue. Were they prompt to respond? Did they send the info you needed? Those first impressions do matter and may speak to how the rest of the relationship would play out. Pay attention to how well you get along with the contact person especially if this person will be the main contact person throughout the planning process. A bad vibe could be very telling! Venues often include extras such as tables, chairs, linens, and sometimes even catering. Don’t let that dazzle you too much until you’ve taken a good look to ensure that the styles meet your needs. If you love the venue but don’t love all of the extras, make sure you to ask if you are able to bring in outside items from other vendors. Other things to consider should be the flow of the space and event layout. Can you picture a smooth transition from ceremony to reception? Do all of the aesthetics work with your overall vision of the day? Most importantly, can you see yourselves getting married at the venue? If you and your partner get that gut feeling, listen to it! Finding the perfect wedding venue is definitely one of the biggest decisions you’ll make but it is also one of the most enjoyable experiences of the planning process.